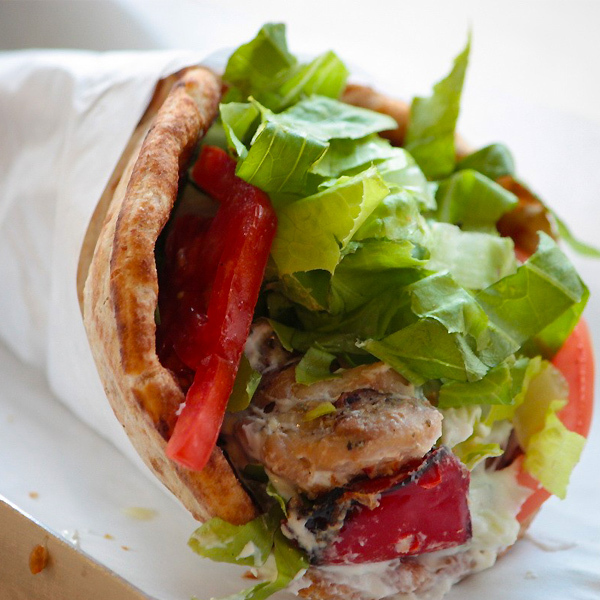 Pita souvlaki with chicken makes for a tasty and filling lunch! It is also one of the “healthiest” versions of Greek pitas and the best part is its heavenly taste! 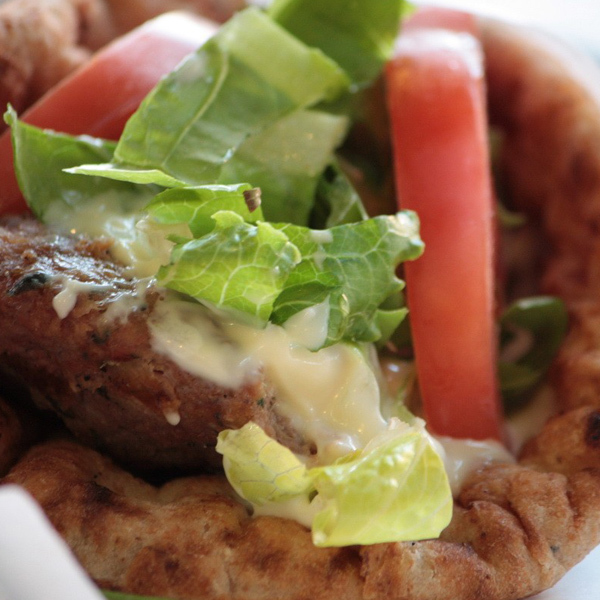 Don’t forget to garnish with tzatziki, tomato, lettuce and a hint of red onion for an extra kick. Souvlaki stands for “meat-on-a-skewer”, however the majority of Greeks and especially those from Athens call any type of pita wrapped meat a souvlaki, specifying the type of meat and method of roasting separately. 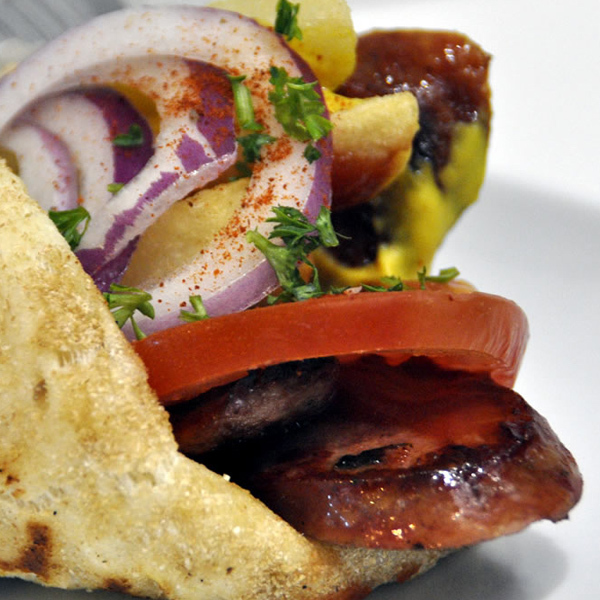 Most Greeks enjoy their traditional Greek souvlaki with some fried potatoes stuffed in the pita so feel free to try adding some as well. 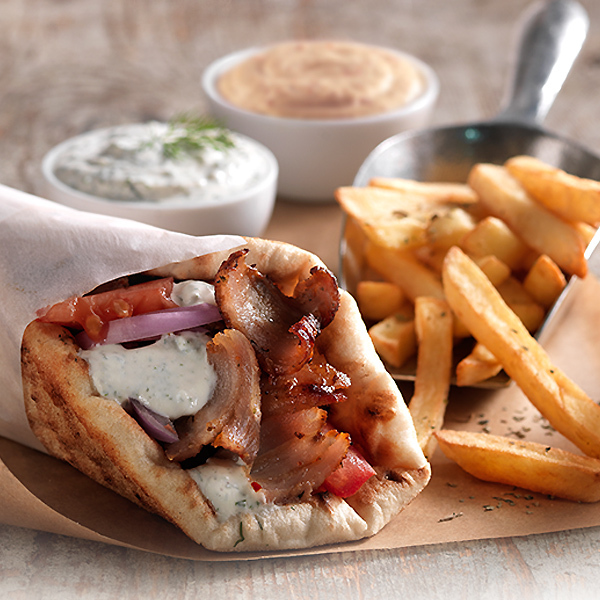 Souvlaki is Greek, no dought about that. It first made its appearance in ancient Greece, as proved by a recipe from that time. The dish was called “kandaulos” and combined grilled meat, pita, cheese and dill. Many centuries later street vendors were selling souvlakia with pita in Constantinople, the capital of Byzantium. The first souvlaki restaurants in Greece appeared in Livadia in 1951, selling souvlakia on a stick and gyros.